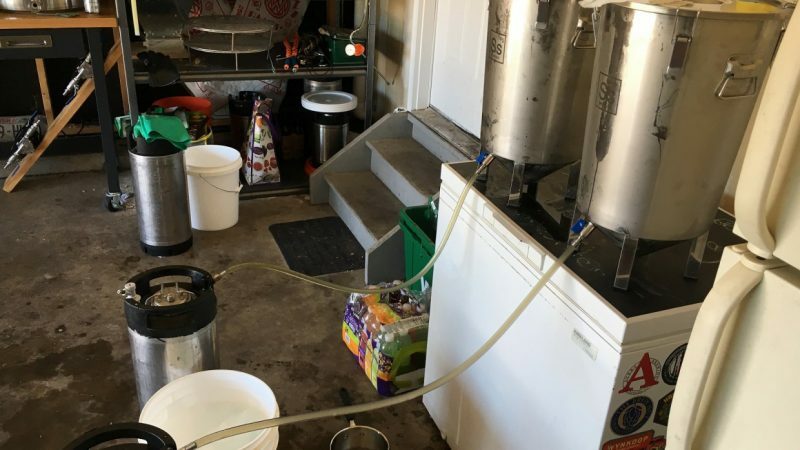 This homebrew experiment was originally published on Brulosophy.com. 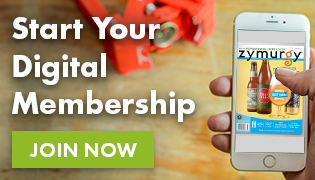 Visit their website for more grain comparison experiments. 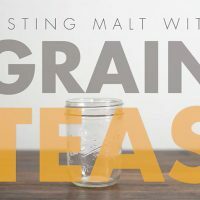 Ask a group of homebrewers about the appropriate grain to use for a given style is and you’re guaranteed to be met with claims that a quality lager requires Pilsner malt, British beers demand Maris Otter, and IPA is best made from standard Pale malt. Judging by the names alone, it seems obvious enough, though I’ll admit that prior to a couple significant xBmts demonstrating the impact of different grains, I’d adopted the rather flippant attitude that substitutions had little if any impact on the character of the finished beer. 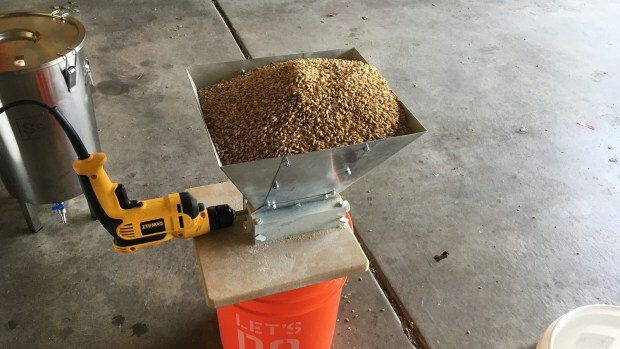 Since I purchase all of my grains in bulk, making base malt substitutions is something I’ve had to do in order to complete a planned brew day, and while I’ve not been concerned swapping Pale malt for Pilsner, subbing in the opposite direction leaves me feeling a little more nervous. 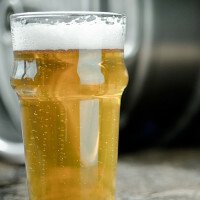 Reason being, Pilsner malt is made to produce beers that are crisp, relatively light on the palate, and generally clean with perhaps a touch of white bread character, which in mind works fine in more characterful styles; however, Pale malt is kilned slightly higher and imparts slightly richer flavors with less crispness. Curious to see if I could taste any differences myself, I decided to put it to the test! 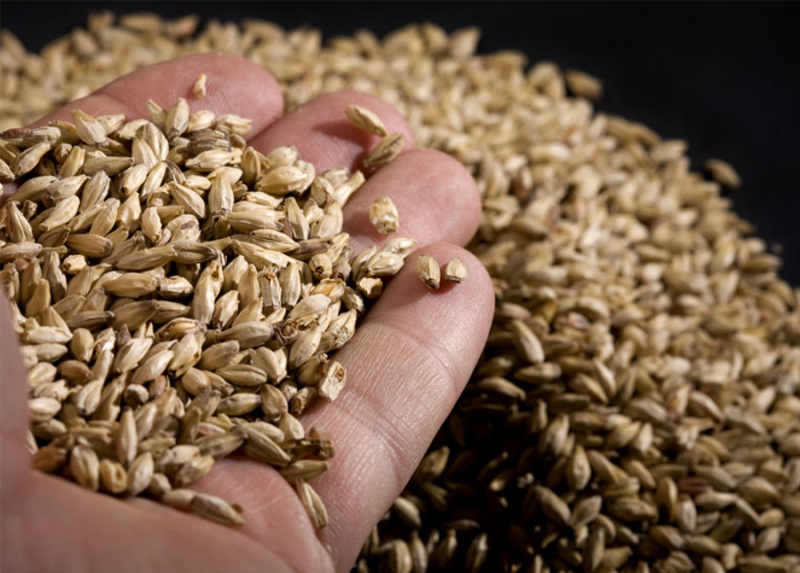 Editor’s note: For the purposes of this article, Pale malt refers to what many call 2-row, which is actually the type of barley used to produce most malts; Pale malt differs from Pale Ale malt in that it is kilned slightly lighter. To investigate the differences between Rahr 2-Row Pale malt and Weyermann Pilsner malt when used in beers of otherwise similar recipes. I modeled the recipe for this xBmt after one of my go-to beers when I’m on the West Coast, Anchor California Lager, which the website lists as being made of Pale malt, Cluster hops, and their house yeast. I didn’t have any Cluster hops on hand, so I used Comet instead. 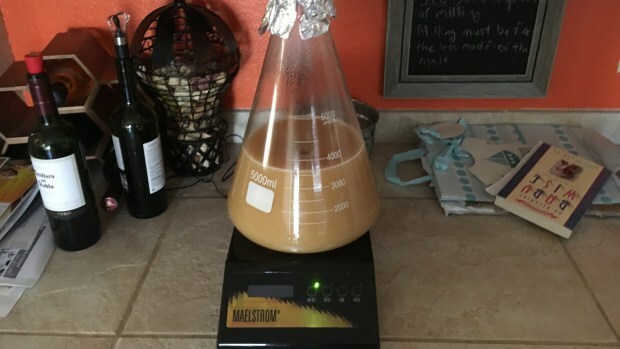 A couple days ahead of time, I made a large starter of Wyeast 2112 California Lager yeast that would later be split between 2 fermentors. I filtered my RO water the night before brewing, adjusted it to my desired profile then weighed out the grains for each batch. 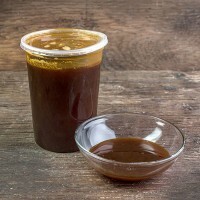 The following morning, as the brewing liquor for the Pale malt batch was being heated, I milled the pre-measured grains. To keep things less hectic, I started the Pilsner malt batch 20 minutes after the Pale malt batch; both were treated identically otherwise. Once strike temperature was reached, I incorporated the grists to achieve the same mash temperature in each batch. Both mashes were recirculated for the duration of their 60 minute saccharification rests. I pulled samples from each 15 minutes in to check the pH. 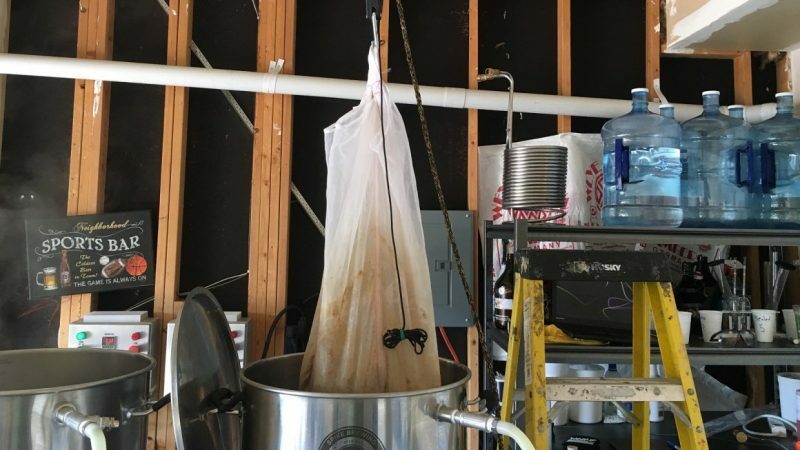 The grains were removed at the completion of each mash rest, the fabric filter being hoisted above the kettle and allowed to drain while the wort was heating. Each wort was then boiled for 60 minutes with hops added per the recipe. 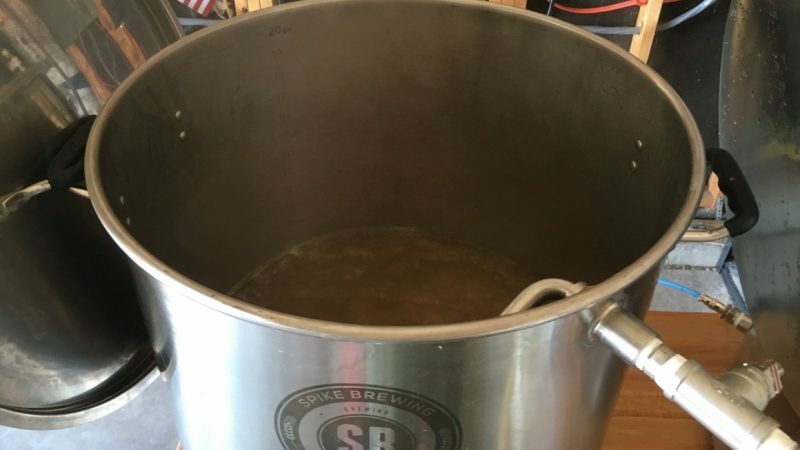 At the completion of the boil, I quickly chilled the worts to slightly warmer than my groundwater temperature. Hydrometer measurements showed both batches achieved the same 1.052 OG. The wort made from Pale malt was noticeably darker than the Pilsner malt wort, which wasn’t unexpected given the known difference in kilning. I proceeded to rack the chilled wort to sanitized fermentors and placed them in a fermentation chamber set to my target fermentation temperature. 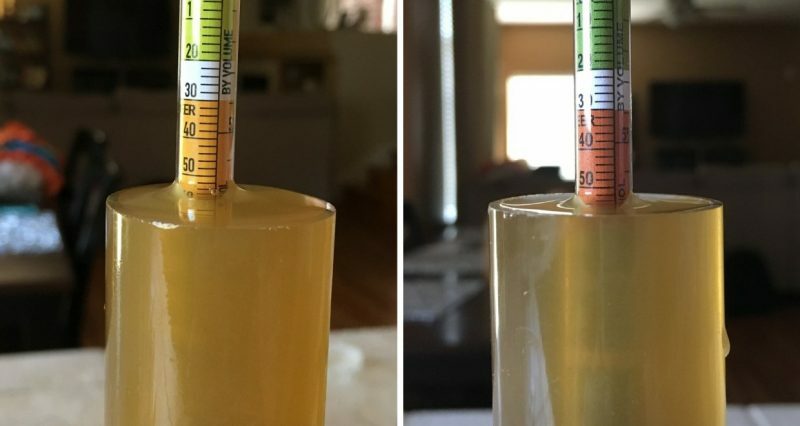 Both worts had stabilized at 58°F/14°C by the following morning, at which point I split the yeast starter equally between them then hit each with a 90 second dose of pure O2. Both beers were fermenting actively 24 hours later and continued down a similar path throughout fermentation. 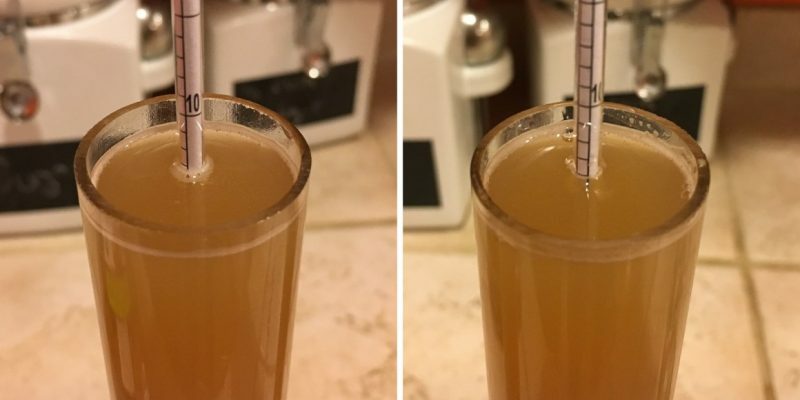 After 10 days, signs of activity absent, I took a hydrometer measurement that showed the Pale malt beer finished with a slightly lower FG than the Pilsner malt beer. 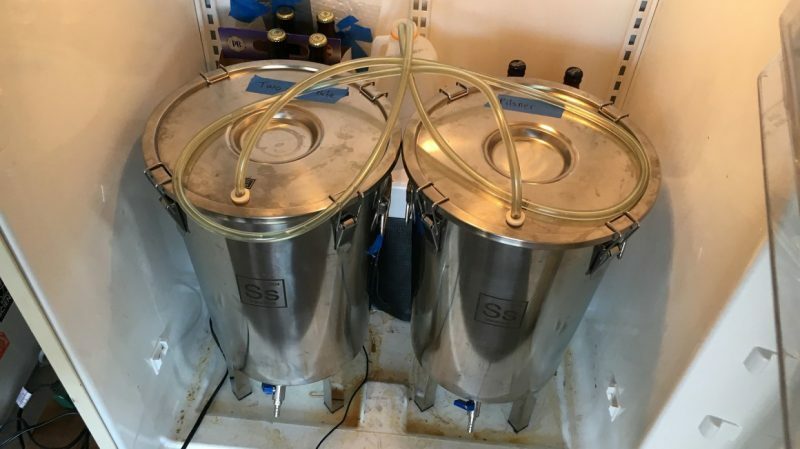 I bumped the temperature up and gave them 3 more days before measuring to confirm no change, after which the beers were cold crashed and kegged. After adding gelatin to each keg, they were placed in my keezer and burst carbonated overnight before I reduced the gas to serving pressure. After a few days of cold conditioning, the beer were carbonated, clear, and ready to drink! A total of 22 people of varying levels of experience participated in this xBmt. Each participant was served 2 samples of the beer made using Pale malt and 1 sample of the beer made using Pilsner malt then asked to identify the sample that was unique. In order to reach statistical significance at this sample size, 12 tasters (p<0.05) would have had to correctly identify the unique sample, though only 8 (p=0.46) did, indicating participants in this xBmt were unable to reliably distinguish a lager made Pale malt from one made with Pilsner malt. My Impressions: These beers were much more difficult to discern than I imagined they’d be. Over multiple triangle test attempts, I pick the odd beer out and certainly lacked confidence in my choices. Both beers were clean with minimal malt character, which is to be expected from such a simple grain bill, and I was admittedly surprised by the lack of difference between them. Either way, I loved this beer and will definitely be brewing it again, likely with Pale malt since it’s a bit less expensive than Pilsner malt. 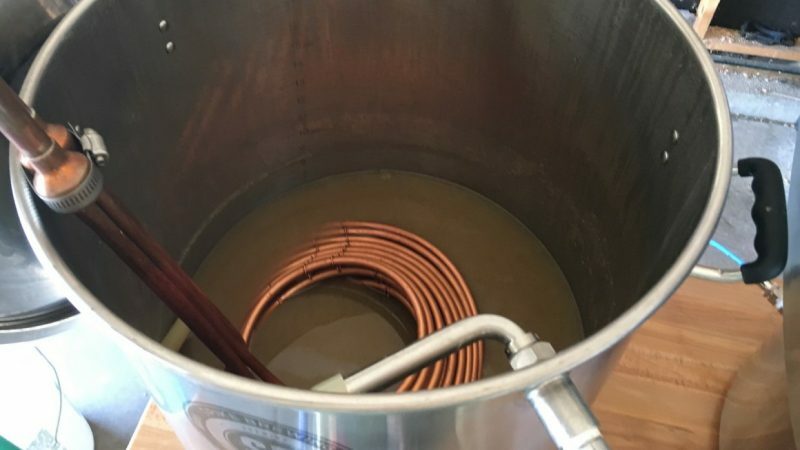 Arguably, the primary purpose of both Pale and Pilsner malts is to provide the bulk of a beer’s fermentables while creating a sort of blank slate upon which other flavors are built. Still, certain styles are known for being produced with a specific base malt– a Pilsner must be made with Pilsner malt, Pale Ale ought to be made with Pale malt. I’ll readily admit to being biased by these malt names such that I generally stuck to these conventions, which explains my surprise with the non-significant results of this xBmt. 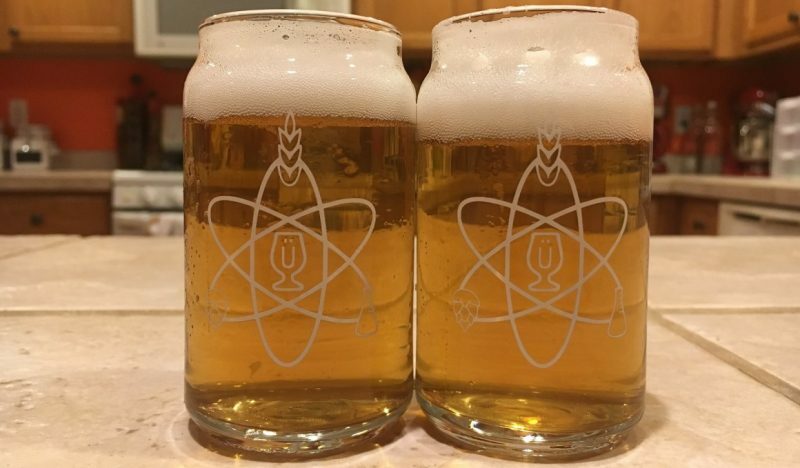 The fact is, Pilsner malt and Pale are objectively different, grown in separate parts of the world and kilned to different levels, yet tasters couldn’t tell apart a beer produced with one from a similar beer made with the other. I’m reminded of an episode of The Session on The Brewing Network where, while sampling Tailgater Kölsch from Flat Tail Brewing, the brewcasters began talking about how it tasted like it was brewed using domestic Pale malt as a cheaper alternative to continental Pilsner malt. Then, on a subsequent show, someone from Flat Tail phoned in to inform the crew that the Kölsch had actually been made Weyermann Pilsner malt! Perception can be so fickle. As an aside, kudos to Flat Tail on their Kölsch, it’s my go-to when travelling through Oregon. It’s true these results are but a single point of data that ought not be accepted as gospel, though based on my experience with both of these beers, my previous convictions about the differences between Pale and Pilsner malts have faded. I won’t be ditching the use of continental Pilsner malt altogether, but I’ll definitely be using more domestic Pale malt in styles I once believed required the former, especially if the biggest difference is a little more cash in my pocket.